Its gets to this time of year and I get desperate for warm weather and sunny days. Everything starts to feel cooped up, my flat feels too small, my office too restrictive and my ideas too dusty. It has happened for as long as I can remember, my worst projects at uni were always the ones before Easter. I just want to throw open the windows and let some air in. Apart from booking a holiday (which is not happening, yet) I have never found away to fully get over my fug. This year am I planning a new approach, instead of forcing myself to come up with new sparkly ideas, I will lie low and try and absorb as much inspirational goodness as possible, hopefully when the flowers start to bloom again so will my ideas. I do have a positive spin to add to today's post, I'm sharing some of my current favourite reads (all Christmas books) that I have been reading frantically over the last month or so. 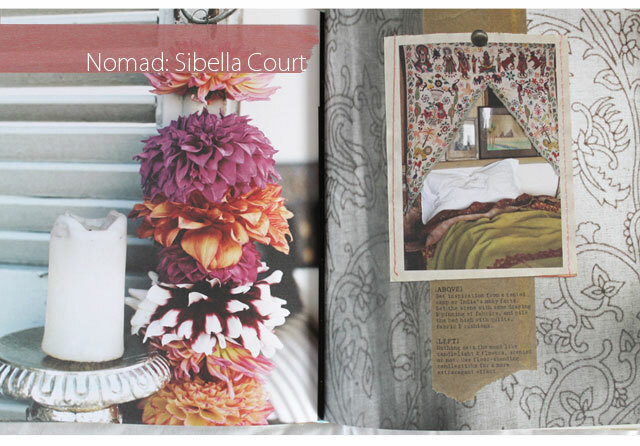 The first book on my list is Nomad by Sibella Court - I definitely satisfies my travel itch. I normally select a country I want to visit based to the stuff available; be it shells, beads, bunting. This book is my dream, beautiful detailed photo's of treasures found in India, Italy, Mexico, Syria and Japan. The colour palettes are so stunning as are the design ideas for your home. I love the way this books gives you space to dream, plan adventures without being preachy and perfect. When I grow up I want to be Sibella, my second book is Bowerbird by Sibella Court. This is another book which is right up my street, its all about curating your collections. I love the way this book celebrates collecting what inspires you on a very personal level. As I'm quite a nosey person I loved reading about where Sibella gathered all her materials, and not feeling like such a weirdo for my shell collection. 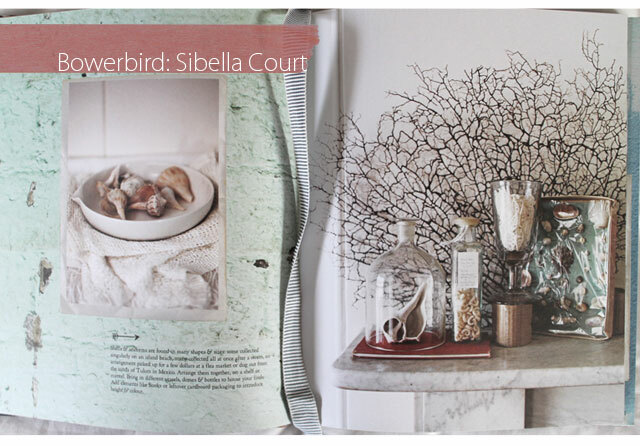 Again what I love about Sibella's books is the imperfect beauty she finds in so many things, we are all so inundated with perfect images it is refreshing to see cracks in walls and natural unmanufactured goodness. On another note the paper of this book is gorgeous and it has a handy ribbon marker. 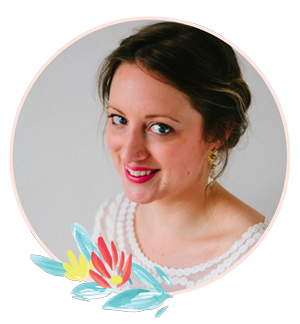 If read read blogs, then I am sure most of you have heard of Holly Becker's super successful blog Decor8 and have probably already read this book. 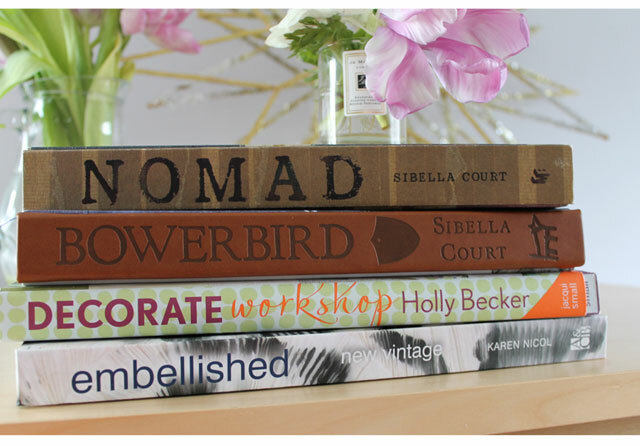 For those of you that haven't here is my two pence worth on Decorate Workshop by Holly Becker. I really loved how this book is broken down into sections and asks you loads of quite useful questions about your room and space, that you tend to over look in the excitement of decorating. There are also pages to write your own notes in which I love, it saves digging around for post-its when you have an amazing idea. 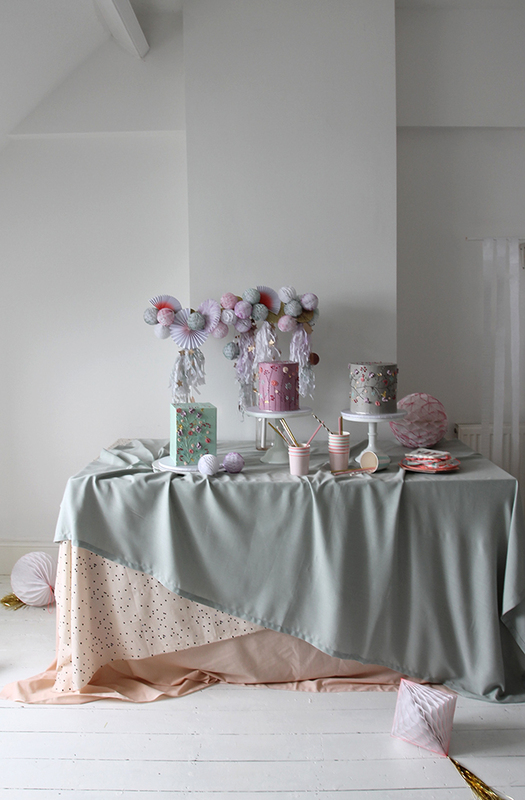 Like Holly's previous book, the photography is really lovely and colourful and rooms are dreamy. My only downside would be that sometimes it doesn't feel real enough, everything is so perfect that it seems unobtainable, maybe for Holly's next book she could cover different budgets and real homes?! 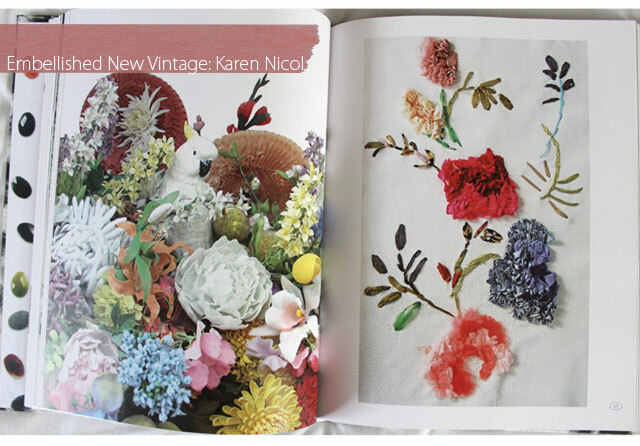 So my last book is fantastic, Embellished New Vintage by Karen Nicol is all about textile design. Textiles always make me giddy with joy, I just want to get into to pages and touch everything. It doesn't teach you anything it just inspires like crazy. Karen has worked really closely with Clements Ribero so there is a real fashion edge which I love. The book also shares Karen's inspirations and ideas behind her work, I haven't read it all yet but the photo's alone are enough to make me fire up my sewing machine and start creating. Do you have any reads you can recommend, I would to find some really inspiring photography books? 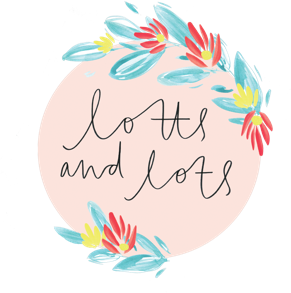 Really pleased to have found your blog, such lovely photography and inspiring DIYs, can't wait to have more of a dig back through your posts! These books look wonderful, I haven't read anything by Sibella Court before but I love the idea of both of her books you mentioned, they have been added to my Amazon wishlist! I love your wonderful books.such lovely photography and inspiring.